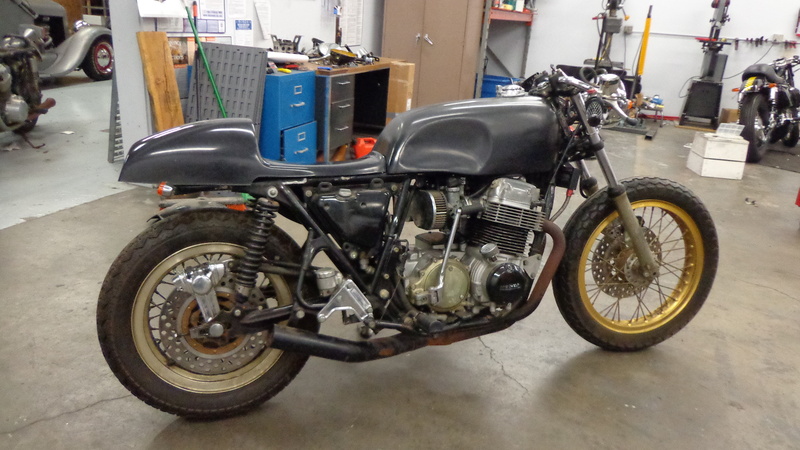 Well, not quite ready yet but as I said in an earlier Blog, I picked up this old 1975/76 CB750F series up from a storage yard a few weeks ago. Here she is when I got her. Now she is like this at the moment. 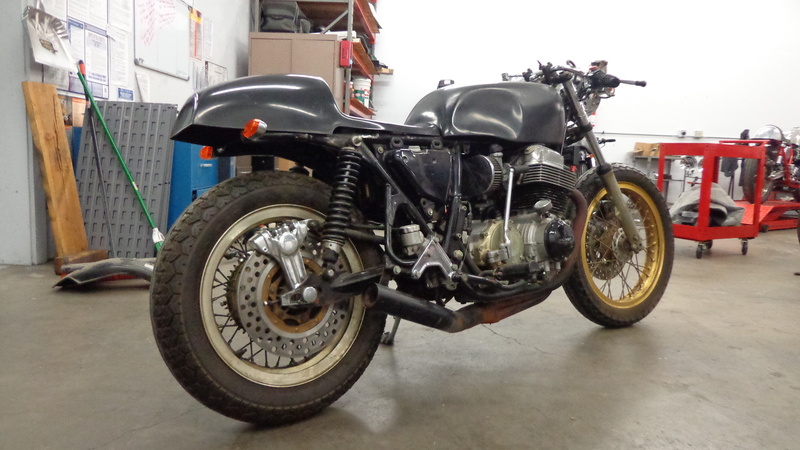 I have now started to work on this fine beast and will soon be up for grabs and it will be a cool ride for someone, as this is an original bike with a few of my Cafe touches to it. This machine has one of my New Knee inserted Glass Cafe Racer Gas Tanks and is fitted with New Alloy Flip Top Gas cap and a New Genuine Honda Petcock. 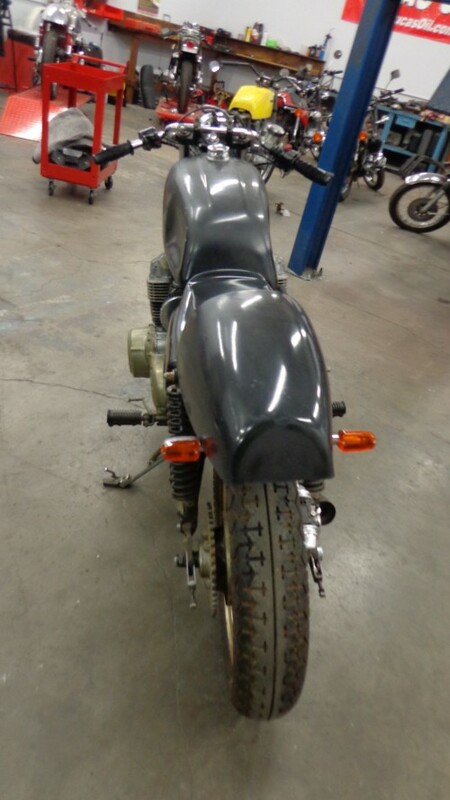 I have just fitted one of My Rocket 4 seat bases to the frame and I shall be upholstering this coming week with any luck and will fit a cool rear tail light onto the back of the seat base. 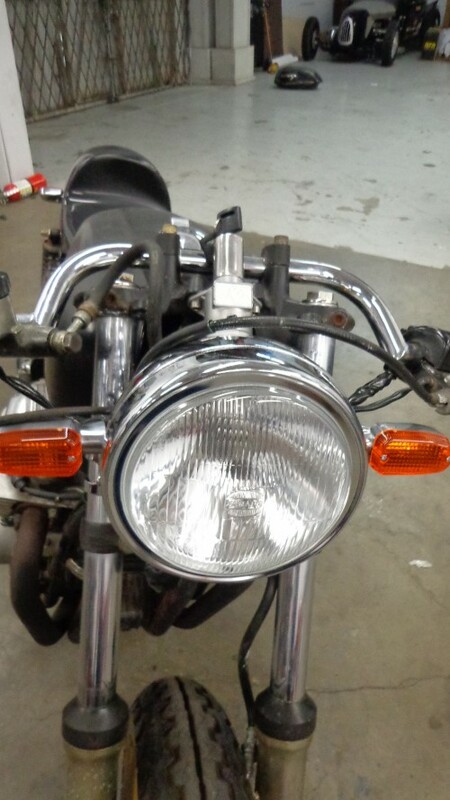 I have fitted a New Chrome Classic headlight and brand New Alloy Turn signals. 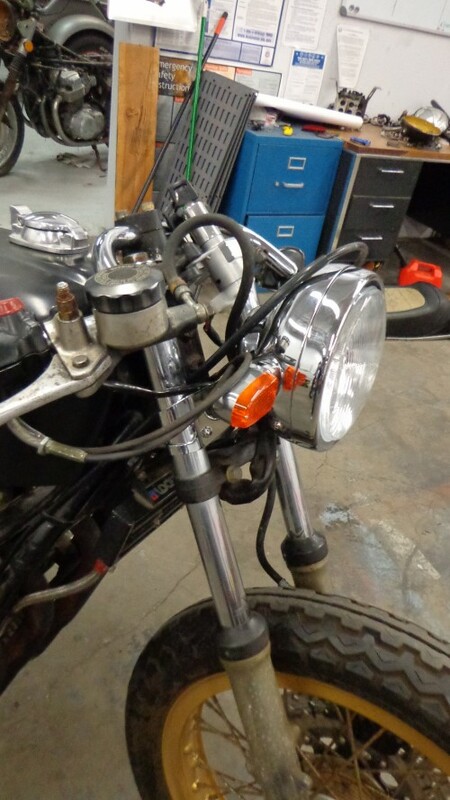 The lights work on high and Low beam and I look forward to hearing some of your thoughts on this machine. The bike has a set of Original Boranni Alloy deep Dish Race rims on it and they were anodized back in 1978, hence the sun light has faded the back etc but still a great set of rims. The rear is a 16 inch high by 3.00 wide and has a low ratio sprocket set up. 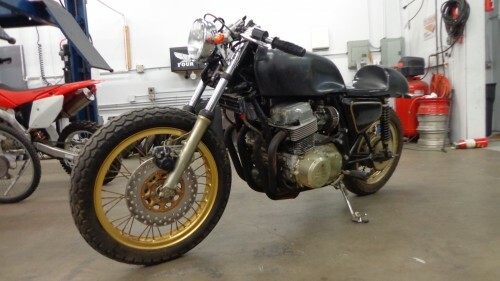 The front has a 19 inch Boranni and I just rebuilt the front brake caliper and functions very well indeed. The rear caliper I took apart as it was seized up, I completely stripped it and polished the carcasses, then new O rings and Piston and fitted, then bled and now that functions very well. A set of club-man bars sit on top of the triples and New GT grips too. The Carbs were pulled apart and rebuilt and has Original aftermarket cool Air filter set ups that I have not seen for ions. 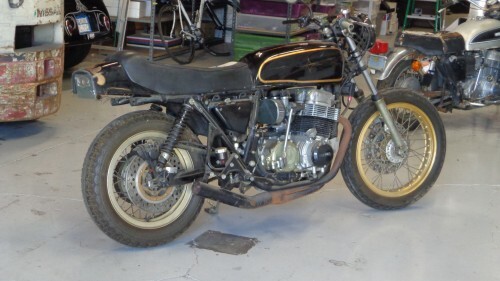 The Jewel in the crown on this machine is it has an Original Series one YOSHIMURA exhaust system, this is the real deal and a very very hard item to locate these days. 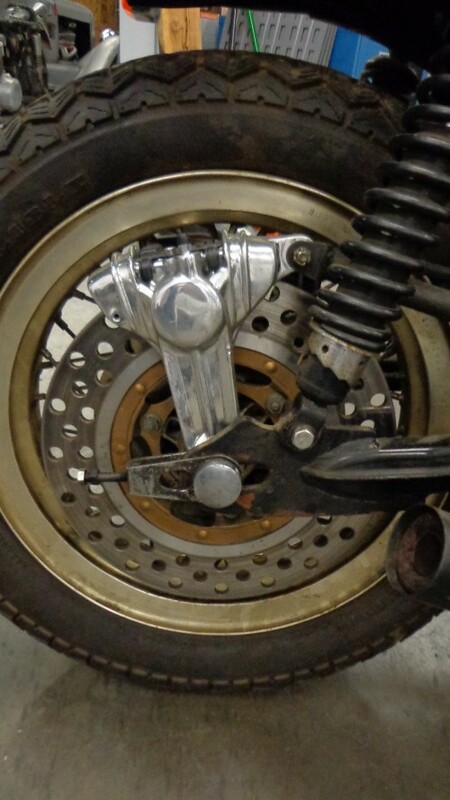 To add to this, the bike has big Cheese cutter Disc brakes back and front and were drilled back in the day. 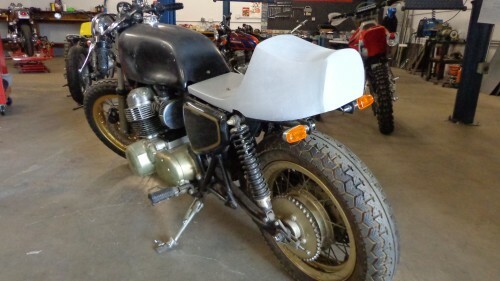 I have decided to use another seat base of mine called the Razor Back, I like its proportions and shall have a tuck n roll snap fitting seat cover on this base to give it that Nostalgic look. This will have an Oval or Round Red L.E.D. tail light in the back when all said and done and will make sure that it functions perfectly. 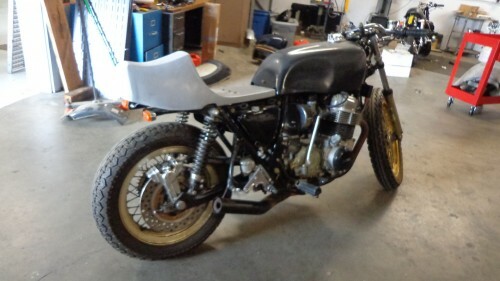 I shall post photo’s as I go along, so each day you may see little changes in this Cafe Racer motorcycle. Tempered or heat-hardened steel is the most common metal used to make coal chisels. The additional hardness and strength gained from the tempering process make it possible for the chisel to perform its tasks efficiently. Since coal chisels are used mostly for cutting or scraping masonry objects or metal surfaces, the chisel has to be harder than the contact surface to effectively reshape the material in the desired fashion. 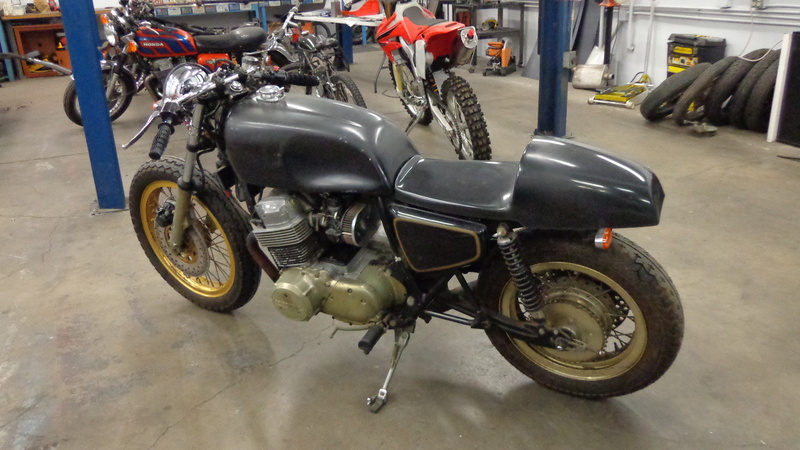 The bike Now runs and will video that during the week and this bike Has the Original Pink Slip too from the Original Owner, so a bonus there too eh? 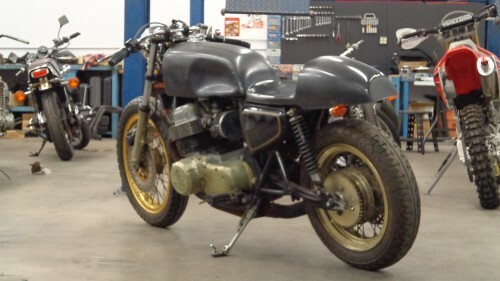 I shall fit a New chain and a New non maintenance Battery and a battery tender, that way you will be covered etc. I have just changed the spark plugs for new NGK – DHEA models and she runs great. 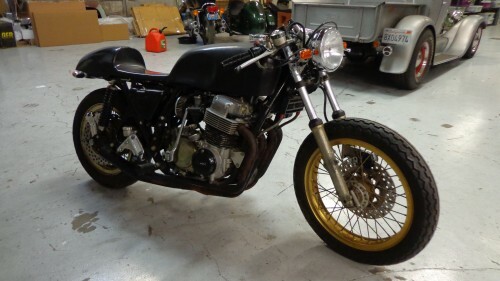 I clean the carbs and have fitted new jets, the Yoshimura sounds tip top but I may ceramic coat her to add a little bit of bling to this machine, although I like her as she is. 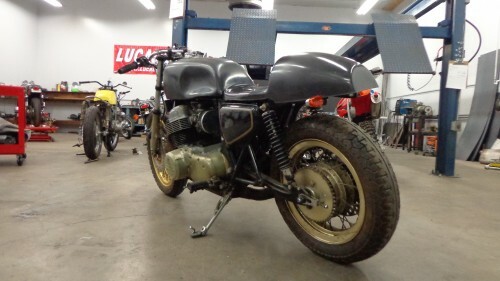 This is NOT a show bike, its a real Cafe Racer with super rare parts and I know you wont find a Yoshi original for less than a couple of grand these days. 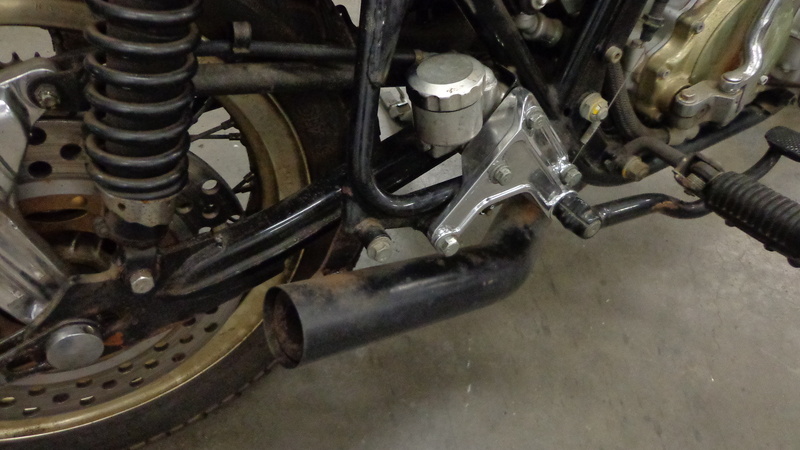 I shall fit a polished fork brace this week and a new rear chain too. 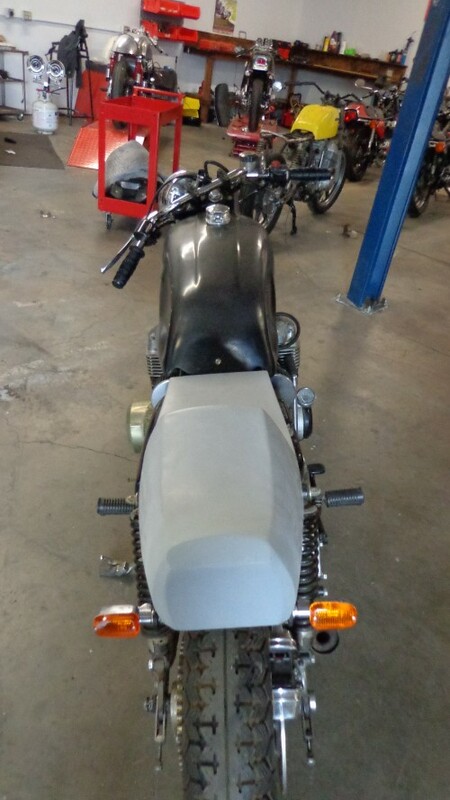 I think I will paint the tank and seat and I need to get a right side cover but can get one from Europe easy enough then paint the set to look cool with some pin lines etc. Wanted to add some pictures on here for you to look at. 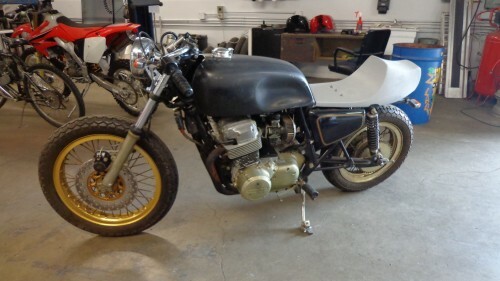 If you wanted the bike right now as she is, then I would like $3000 and as I said, she runs and has a title. 714-598-8392 and you can text me on that too. 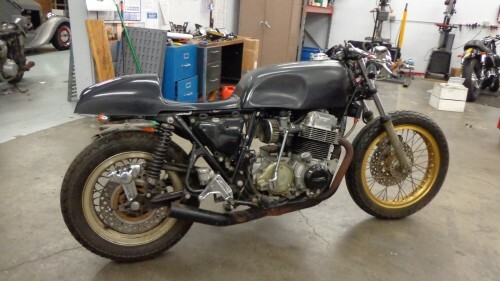 The more I do, the more the price goes up, but this has some RARE parts that are so hard to find and a great deal for someone out there in Cafe Racer land. tonup@att.net is where you can email me too. 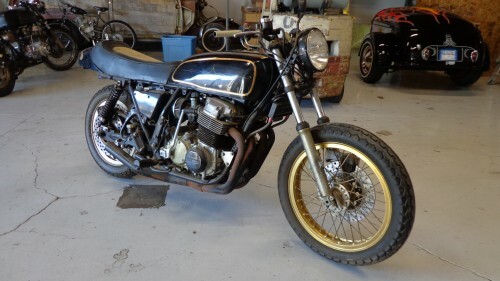 This entry was posted in Blog, For Sale and tagged bike, cafe racer, CB 500, CB500, CB500 CAFE RACER, sale. Pinball Machines: The Vintage & Unusual!